Welk Resort - Lawrence Welk Resort resales, save 50% or more, golf vacations, timeshare resales. ALL REASONABLE OFFERS WILL BE SERIOUSLY CONSIDERED!. 2017 MAINTENANCE FEES ARE $970. THIS RESORT IS LISTED WITH RCI & II. ***same unit - two weeks in a row buy one or both. If you buy both you save on closing costs. RESORT TRANSFER FEE OF $250. REMEMBER - WHEN YOU EXCHANGE YOU CAN EXCHANGE FOR ANY WEEK OF THE YEAR, AND YOU CAN EXCHANGE UP TO A YEAR IN ADVANCE OR TWO YEARS AFTER YOUR WEEK! 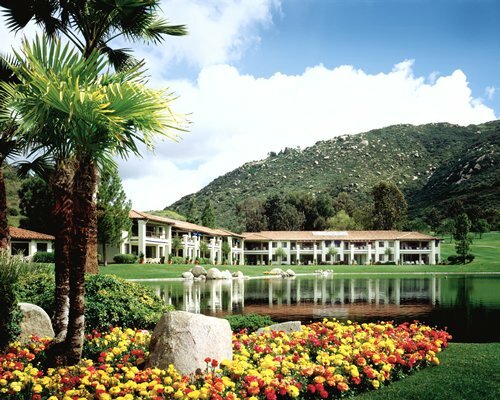 Located 30 miles north of San Diego, Lawrence Welk Resort offers 600 acres of vacation fun in a lovely setting. It's all here: two 18-hole golf courses, six swimming pools, four lighted tennis courts, two exercise rooms, a lap pool, Mr. W's Restaurant and a theater featuring Broadway-style shows. Dozens of on-site activities are available including escorted tours to Hollywood and Mexico. Guests enjoy visiting the area's beaches and attractions, such as the San Diego Zoo and Disneyland. Some of the resorts that we sell timeshares at are Lawrence Welk Resort, Villas at the Green at the Welk Resort, Welk Platinum Points, Coronado Beach Resort, Carlsbad Seapointe Resort, Grand Pacific Palisades Resort, Carlsbad Inn, Villa l'Auberge, Winners Circle Beach and Tennis Resort, Southern California Beach Club Resort, San Luis Bay Inn, Marriot's Newport Coast Villas, Palm Springs Tennis Club, Desert Isle Resort, Desert Breeze Resort, Casitas del Monte Resort, and many more timeshares resorts throughout the United States and Canada. We never charge an upfront fee. Nobody sells more timeshares at the Lawrence Welk Resort Villas, at the Villas on the Green or the Welk Platinum Points than California Timeshare Resales does. Click here for more information about the Lawrence Welk Resort Villas. Click here for more information about Lawrence Welk Resort Villas day use rules. SELLERS - WE ARE AGAIN BUYING WELK TIMESHARES. CALL US FOR A PRICE. BUYERS - CALL OR EMAIL US AND LET US KNOW THE WEEK YOU WANT. WE MAY HAVE IT OR WE WILL PUT YOU ON A WAITING LIST! WE SELL MOST WEEKS FOR $2500 EXCEPT FOR SUMMER AND HOLIDAY WEEKS. WE WILL BE ADDING INVENTORY TO THIS PAGE IN THE NEAR FUTURE.